Update: This paper appears in Asian Philosophy 21.1 (2011): 97–121. A preprint can be downloaded here. For a related blog discussion, see this. I’ve just returned from an August 27 conference at Chonnam 全南 University in Gwangju 光州, Korea, entitled “Reflection on Philosophical Roots of Korean Emotion,” which covered Daoism, Confucianism, and Buddhism. For me this was an interesting and unusual event, as most of the presentations were in Korean, with simultaneous interpretation. I’m grateful to Prof. Yonghwan Chung and the other organizers, who arranged a very successful program. It was a pleasure to see old friends such as Hagop Sarkissian and Georg Moeller and to meet many new colleagues from Korea, China, and Japan. 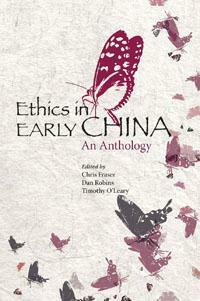 My contribution to the conference was an extension of recent work I’ve done on Zhuangzi. A precis follows. In this essay, I discuss a distinctive view of the emotions found in the Zhuāngzǐ 《莊子》. Insofar as the Zhuāngzǐ has influenced Chinese and Korean culture through the ages, this view is highly relevant to the theme of today’s conference, in two ways. It articulates ideas that are part of traditional Daoist (道家) thought and ways of life, and to varying degrees these ideas shaped the philosophy of many later Asian thinkers as well as the development of Chán Buddhism (禪宗). The exact view I will discuss is not presented explicitly in the text. 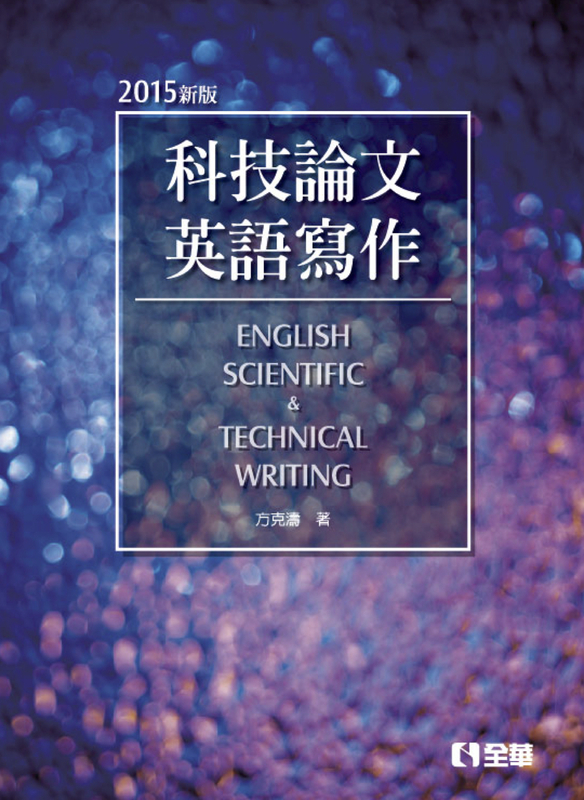 It is a construction or interpolation from theoretical claims in different parts of the anthology. I suggest, however, that views roughly like this one, or overlapping it, probably underlie and motivate statements in many parts of the Zhuāngzǐ. For convenience, let me give the view to be discussed a label: the “Virtuoso View” of emotions. This is an allusion to the core Zhuangist ethical concept of dé 德, whose content overlaps that of notions such as virtuosity, power, potency, virtue, vitality, charisma, adroitness, proficiency, and capacity. Another reason for calling this the “Virtuoso View” is that it is a roughly accurate description of the psychological state manifested in virtuoso performance of arts, skills, and other activities. I begin by describing the Virtuoso View and sketching its theoretical foundation, which ultimately involves many aspects of Zhuangist thought, including claims about human agency, the self, psychophysical hygiene, the good life, epistemology, and metaphysics. Next, I present several objections to it. Then I attempt to defend the view, or at least a modified version of it, against these objections. The essay presents three major theses. First, the Virtuoso View is easily intelligible—especially given Zhuangist assumptions about physiology—and largely, if not entirely, defensible. Indeed, to some extent it reflects many people’s commonsense view of emotion. Second, and more important, it reflects a crucial insight into a fundamental dichotomy at the core of human agency: the unavoidable conflict within a self-aware human agent between an internal, engaged perspective and an external, detached one. 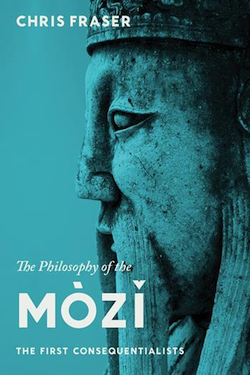 Few philosophers, East or West, have called attention to this tension at the root of human agency, but I will draw comparisons between the Zhuāngzǐ and two who have: Martin Heidegger and Thomas Nagel. Third, I will suggest that certain problems or conflicts that arise from the Virtuoso View actually reflect inherent features of the human predicament and thus are not mere conceptual defects. The Virtuoso View of emotion is roughly this. “Virtuosos,” or persons of dé 德, accept the inevitable without experiencing intense emotions. They nurture an inner state of calm and ease, without consciously attending to their own welfare. This state enables them to attend fully to their circumstances and competently handle matters at hand. Such people are not utterly emotionless: they experience a general sense of ease or peace, and they retain affective commitments to the welfare of their parents, for example. But they are free from strong, disruptive emotions, whether pleasant, positive ones such as joy or unpleasant, negative ones such as sorrow. The virtuoso’s heart remains “empty,” and he achieves “release” from things. Virtuosos liberate themselves by shifting the focus of agency to what they can control. They achieve a form of flexible, responsive agency that is independent of contingent factors, in that it focuses on “wandering” (遊) through the world by fluidly adapting to and “riding along with things” (乘物). 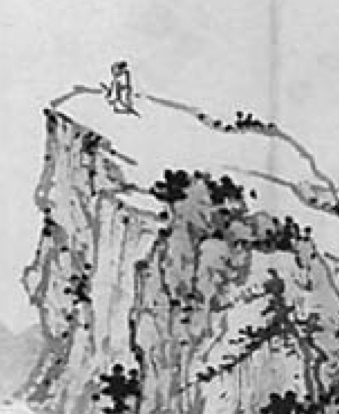 The most common, explicit argument for the Virtuoso View in the Zhuāngzǐ is that it is an appropriate response to the nature of reality and the human predicament. The texts stress that we live in a world of constant flux and transformation, subject to forces we can neither control nor fully comprehend, in which our aims are regularly frustrated and things we value regularly pass away. Acknowledging these points is supposed to convert us to the Virtuoso View. The idea seems to be that once we properly recognize the limits of our efficacy as agents, we will withdraw any heavy emotional investment from things that fall outside the scope of our control. I suggest that the reasoning here runs roughly as follows. Dé 德 is our Nature-given capacity to exercise agency in navigating Dào 道. As human beings, we have a fundamental, instinctive inclination to employ dé, or exert our capacity for agency. Once we recognize the limits to our efficacy, we see that adopting certain kinds of aims and commitments tends to frustrate this inclination. We will enjoy a more fulfilling life if we reorient ourselves toward aims and commitments that offer a greater chance of success. But success in pursuing any particular aim or commitment is contingent on “external things” (外物) over which we have no control (無奈). Only a wholly “internal” project—one not contingent on anything “external”—can enable us to transcend contingency, ensuring that success lies entirely in our power. 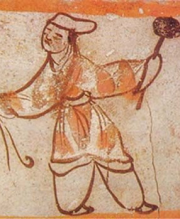 But there is only one such project: the higher-order project of the practice of dé 德 itself—or, identically, the project of “wandering” (遊). If we adopt this as our core project, then we identify with the higher-order, ongoing process of wandering, rather than on the outcome of any concrete first-order activity. Having identified with this “constant,” higher-order project, we experience affective equanimity, for we “bind” ourselves to no particular external things and our aims can be neither wholly completed (as wandering continues indefinitely) nor defeated (as we can wander with virtuosity regardless of external circumstances). Why accept this conception of dé—and the conception of agency I am proposing goes hand-in-hand with it? The Zhuangist stance is that this construal of dé represents the fullest expression of our natural capacities (才) as human beings. Several major objections can be raised against the Virtuoso View. The first and most fundamental one is that a life without deep emotional commitments might be one in which we fail to exert agency at all. As Heidegger shows, some form of affective commitment is integral to the sort of intentionality characteristic of human agency. The reply is that the Virtuoso View does not advocate abandoning all commitments to particular projects. It advocates that our fundamental commitment be to the higher-order project of wandering (遊), or the life of dé 德. To wander is not to remain motionless; nor is it merely to “drift” (浮). Another critical question we might raise is whether the Virtuoso View is fundamentally incoherent. The Virtuoso View depicts agency as comprising two simultaneous, contrasting directions or dimensions. Through the first, “engaged” dimension we commit to particular activities or projects. Through the second, “wandering” dimension, we look beyond them, situating them within the context of the Great Dào of the cosmos and treating them as contingent, subordinate parts of an ongoing flow of virtuoso activity. A critic might object that these dual moments are incompatible or that they make genuine commitment to particular projects impossible. I contend in response that the conflict between the two moments is not a defect of the Virtuoso View, but essential to a fully human way of life. To fail to find a balance between the engaged and wandering moments—and thus exert our ability to engage in Zhuangist wandering—is simply to fail to develop our cognitive and affective capacities adequately and to fail to acknowledge reality. A third set of objections concerns the place of emotions in the good life. A critic might argue that some emotions—such as intense joy—have intrinsic value. A life without them might thus seem less good than one in which they regularly occur. Or a critic could argue that emotions such as joy and grief may be justified responses to value. A life without such appreciation of value may be one that is thereby less good. In response, an advocate of the Virtuoso View could argue that intense emotions are not an indispensable modality through which we appreciate value. An agent can fully appreciate the value of something without feeling strong emotions about it. Moreover, the Virtuoso View exchanges certain familiar affective experiences for other, more sophisticated affective experiences that are of greater value. Still, we should acknowledge that some Zhuāngzǐ passages do slide from descriptions suggestive of the Virtuoso View into more radical claims—claims that might legitimately prompt worries along the lines of the “good life” objection. I suggest that such passages reflect an inherent conflict in Daoist thought between, on the one hand, self-fulfillment and virtuoso agency, and, on the other, a critical grasp of the limitations of our knowledge, acknowledgment of the mystery and indeterminateness of the self, and recognition of our place in the broader cosmic picture. Some Zhuāngzǐ passages maintain a balance between these dimensions of human life. Others tip toward a more extreme view, recommending that we take up the cosmic standpoint. This conflict represents one aspect of a fundamental problematic of Daoist philosophy: the appropriate relation between the realm of “Nature” (天) and that of “the human” (人). Core elements of the Virtuoso View are surely plausible, and arguably, the view as a whole is as well. The Virtuoso View may exaggerate by depicting the virtuoso as experiencing no disruptive emotions at all. The virtuoso might instead be comparable to an athlete whose concentration on the ongoing flow of the game pushes emotions from the center of consciousness to the far periphery. But perhaps a Zhuangist proponent could reply that the virtuoso ideal simply extends the familiar phenomenon observed in the athlete. Again, the Virtuoso View may exaggerate in treating all of life as an extended “performance state.” For it seems that sometimes we do not “perform,” but only observe, contemplate, appreciate, and so forth. Yet a defender of the Virtuoso View could plausibly reply that these activities are all aspects or parts of the long-term performance of our life projects. One conclusion we might draw, then, is that the Virtuoso View is largely defensible. Perhaps it exaggerates in some respects, but the exaggerations are understandable, at least partly plausible, and probably easily mitigated. A critic could push for a different, more pessimistic conclusion, however. One could argue that the Virtuoso View tends inevitably toward a radical stance in which human agency is swallowed up in an identification with the totality of Nature (天) and its courses (道) of transformation (化). As a closing thought, I want to suggest that this potentially radical consequence of the Virtuoso View—or, alternatively, the running conflict in the Zhuāngzǐ between the Virtuoso View of emotion and the radical view—simply reflects the inescapable conflict, to which Thomas Nagel has called attention, between subjective commitment to our particular lives and projects and the transcendent, objective stance that our critical and reflective capacities enable us to adopt, in which we view our concerns in a broader context. In Zhuangist terms, this conflict maps roughly onto the distinction between “the human” (人) and “Nature” (天). It is no surprise that Zhuangist discourse does not fully resolve the conflict between these stances, since, as Nagel himself emphasizes, it is probably ineliminable. It represents a genuine dichotomy in our nature and self-understanding, one that arises from spontaneous employment of our capacities for thought and agency. Some Zhuāngzǐ passages do, however, affirm the possibility of balancing these two dimensions of, such that, as one passage puts it, “Neither Nature nor the human defeats the other” (天與人不相勝也). As in Heidegger, such a balance is associated with a conception of authenticity: a person who achieves it has “returned to the authentic” (反其真) or become an “authentic human” (真人). Heidegger and Nagel, I believe, are correct to contend that in the fullest realization of human agency, the contrasting dimensions of engagement and wandering operate simultaneously. I suggest that this mode of agency converges in many respects with the Virtuoso View and the Zhuangist ideal of dé 德.